Centrally positioned amongst a thriving community, occupiers can take advantage of the diverse amenities that this popular area has to offer. 77 Coleman is at the heart of the City’s retail and leisure offering, with high-quality restaurants, five star hotels and premium retail all a few minutes’ walk from the building. 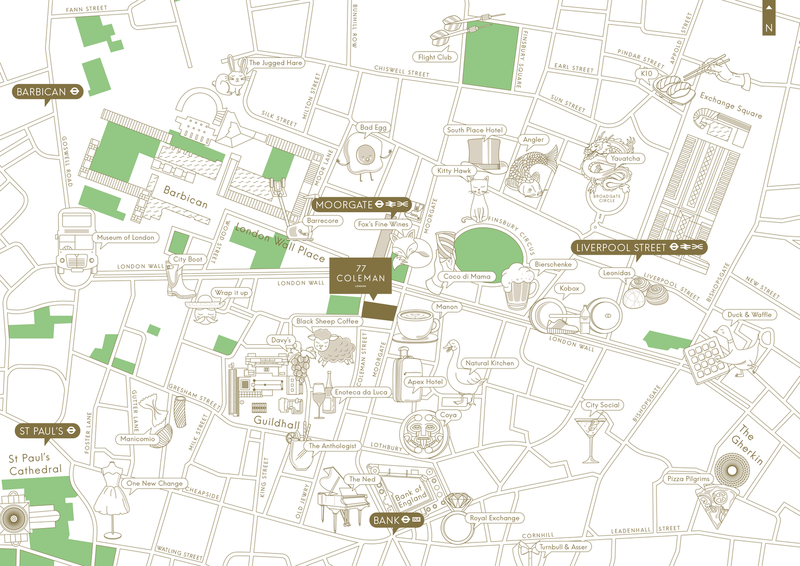 77 Coleman is located in close proximity to Moorgate, Liverpool Street and Bank stations, providing easy access to key London destinations and further afield to the rest of the UK and overseas. 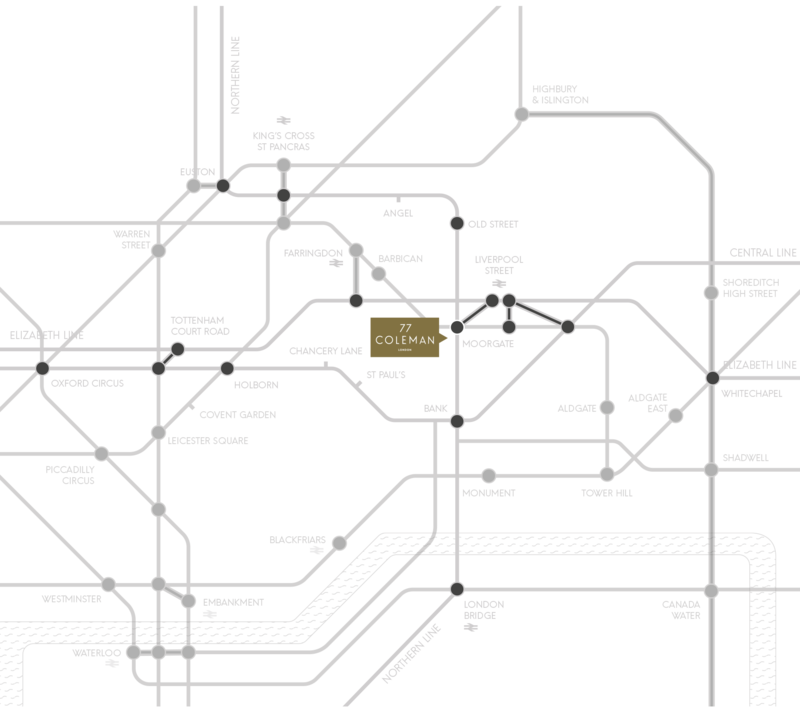 Moorgate station is just a short walking distance, providing access to mainline rail and four Underground services. The Elizabeth Line will open at both Moorgate and Liverpool Street. Further Overground Line services are available in less than a minute's walk.